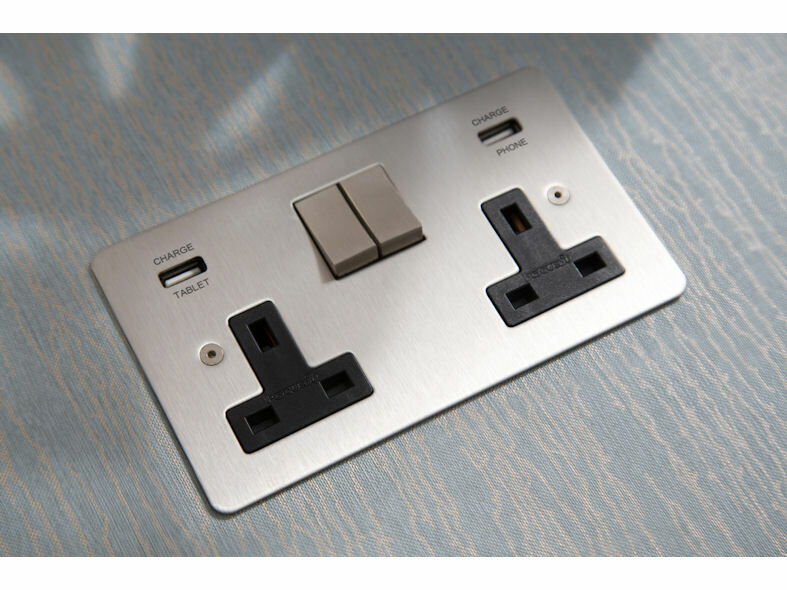 The unique Focus SB USB charging socket is available in all our ranges. 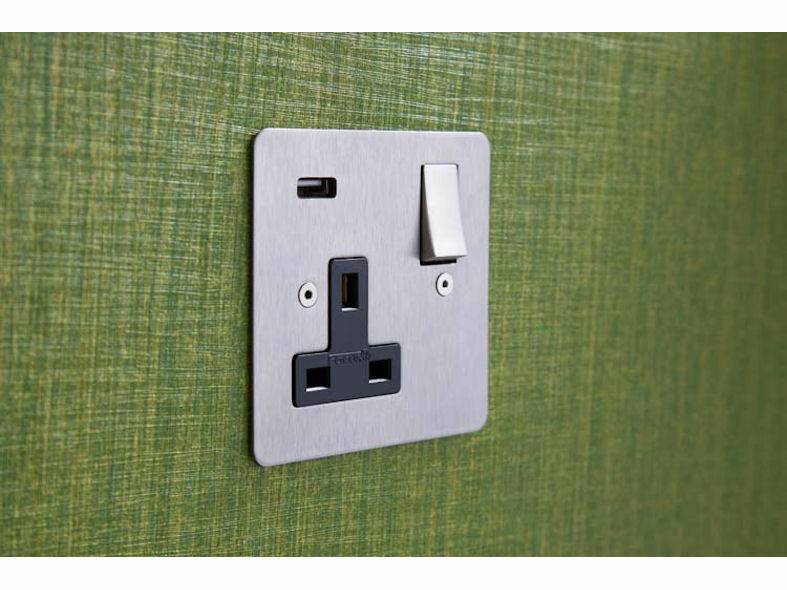 It has a fast charge rate and is a more attractive solution to many other options. 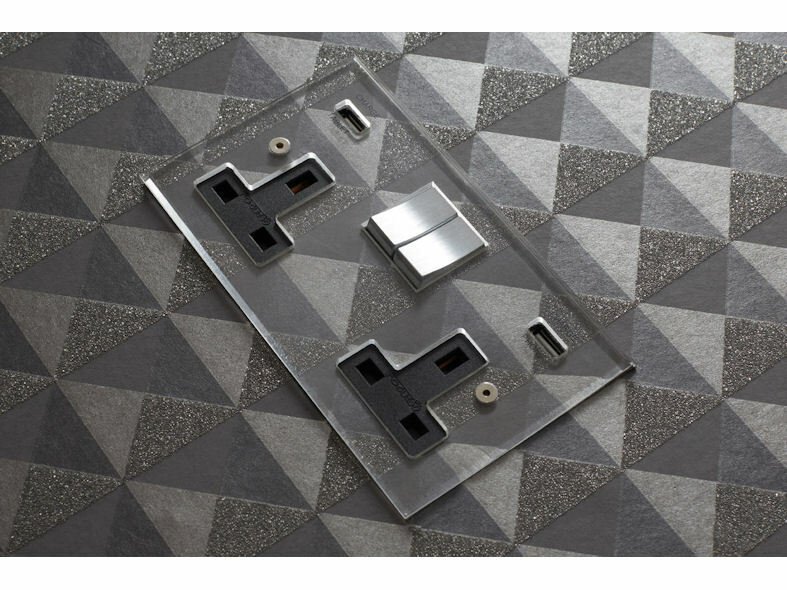 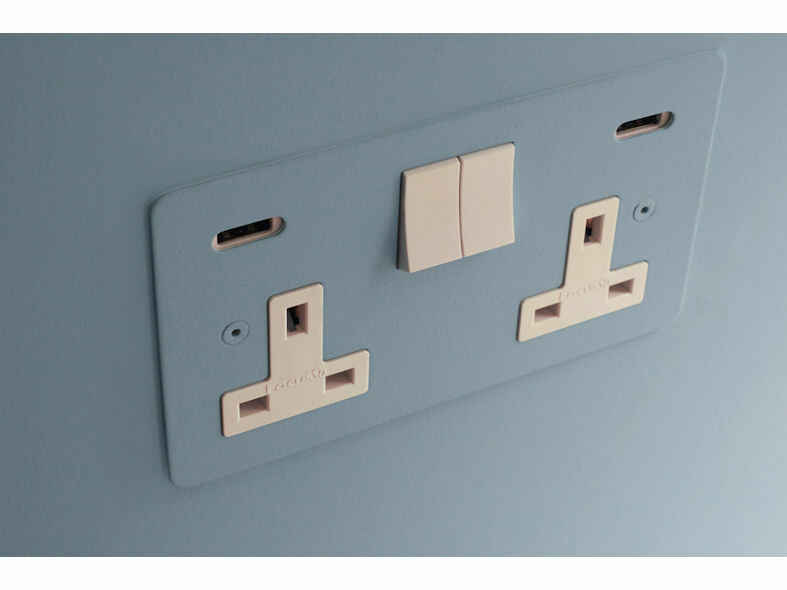 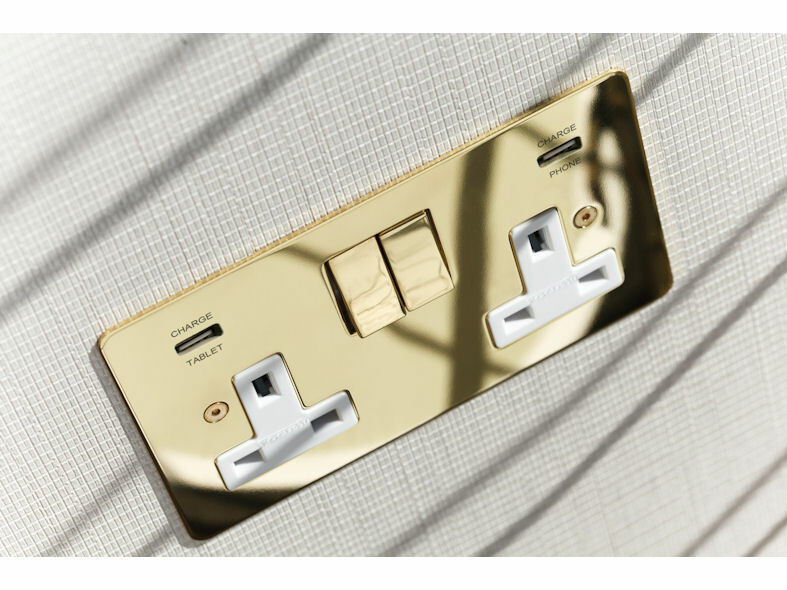 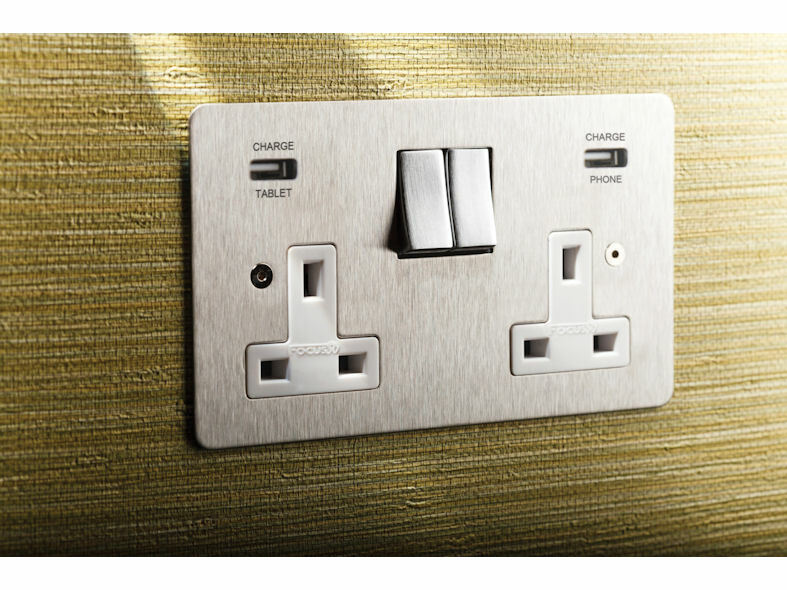 Total charging rate is 3 amp via a 2 amp socket and a 1 amp socket, amperage is NOT shared between sockets. 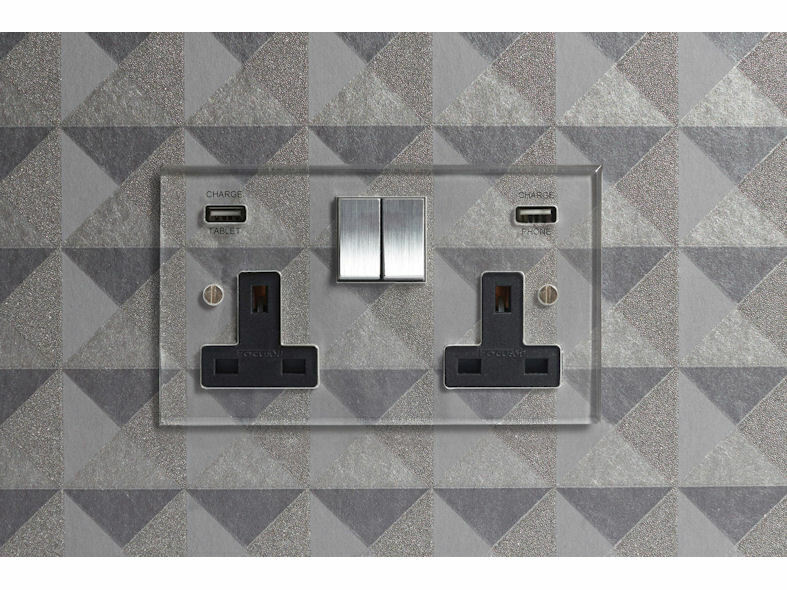 This ensures that the Focus SB Integrated USB charges specific devices quickly and efficiently even when two sockets are in use. 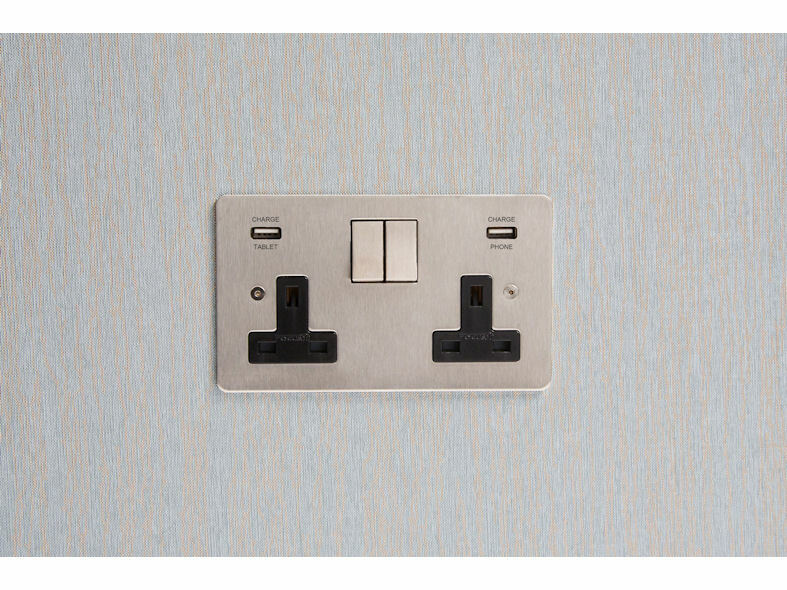 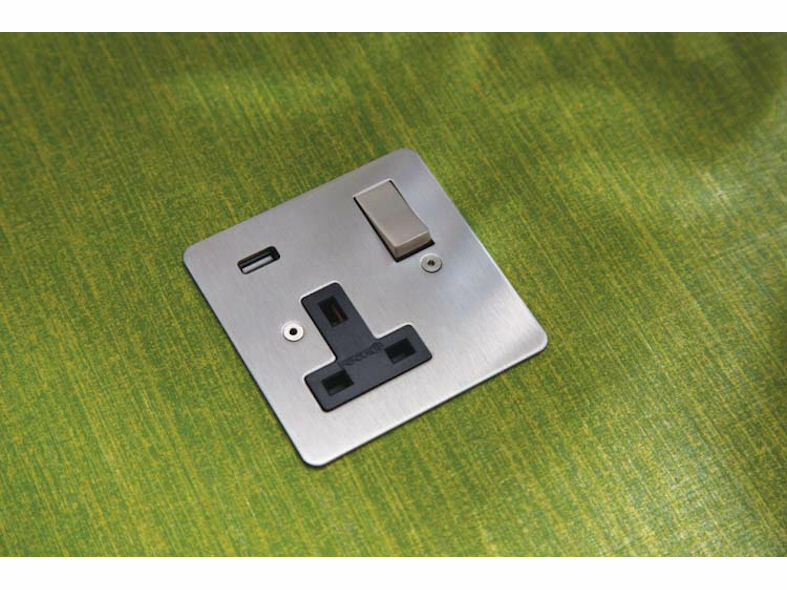 A single USB socket is also available featuring a 13 amp socket with a 2 amp USB port at 5V.